BGC Masters Snooker Day 1: Ronnie O'Sullivan and Mark Williams are through to the quarter-finals after surviving tests given by their opponents. Ronnie O'Sullivan sent the Defending Champion home in the first match of the event - He defeated China's Ding Junhui by 6-4 in front of his family and 1500 local fans. 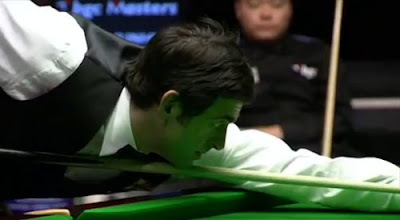 The 4-time Masters winner was 4-1 up on Ding with breaks of 76, 62 and cracking long pottings. However a fluke in frame six kept Ding alive in the match, trailing from 1-4 down to level 4-4 under the unexpected misses from Ronnie. After eight frames the match started all over again. Ronnie regained his advantage by winning the ninth frame with 51 to lead 5-4. He looked much relaxed after the frame and continued his good form to finish the match with a classy 125. He did find a way to beat the Chinese - the big meeting at Masters between them last time was 2007 Final which O'Sullivan shattered Ding by 10-3. Ronnie said: "The crowd was great, they supported us both and it was a good start to the tournament. Ding's one of the players I would pay to watch so it's a shame we had to draw each other in the first round." Ronnie Jnr was given a 'walk-on' introduction to the fans by MC Rob Walker before the match and his proud dad added: "I was surprised he did that because he's usually terrified, but it was good for him to get a taste of what it's like. It was just a great day having my two kids here. 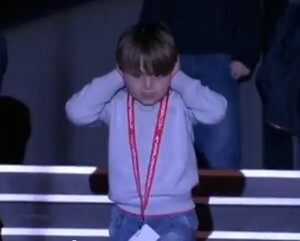 If Ronnie chooses to play snooker then I hope he'll be better than me." 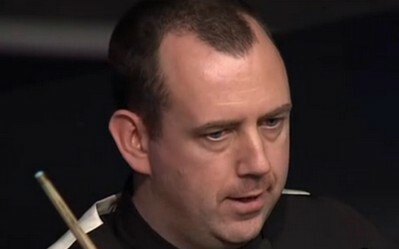 At the night session Mark Williams came off to beat Stephen Maguire by 6-4. The two players were beaten in the first round of the event last year but Mark Williams is the winner this time. The Welsh Potting Machine was flying to take all four frames at the mid session but Maguire found his way to win the next four out of five frames to trail 4-5. Williams missed several chances to win but eventually came off in frame 10 with 51 to win 6-4. Williams is relieved after the match. "I should have won 6-2, I had a couple of glorious chances, but after that I knew it be tough. I was probably the better player tonight throughout but Stephen was favourite to beat me once he made it 5-4. I like the new venue and if the crowds keep turning up it will be a great week."